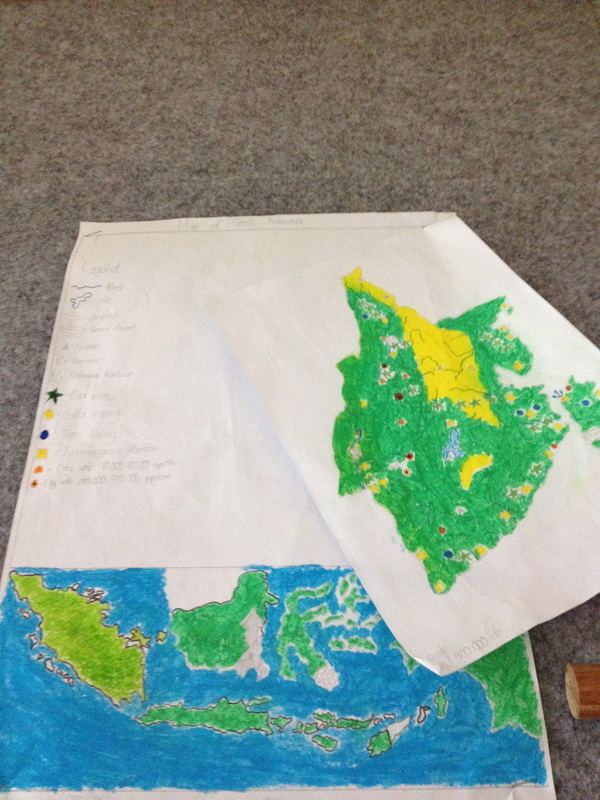 In this quarter, we had a big project which is map of Indonesia and our chosen province. My best work is creating the planning of the pencil case. This is my best sample of work because in this map, I include all the required things and information about my chosen province. I put simple symbol so that the audience could understand what is the meaning of the symbol easily. Based on the teacher’s view, my map has a very detailed information about my chosen province but the map are not very neat. It was a mistake for me to color the map with crayon, and that is why the map is not very neat because with crayon i cannot color the small islands. I draw the map without tracing it instead I draw the map myself with looking at the atlas. I did well in putting specific information about my chosen province and I make this very simple because instead i write the information in the map, I instead put symbols into the map I draw. I really put my effort in putting the symbol on the map because I need to find different symbol for different information. The most challenging thing in creating the map is drawing the river because there are hundred of rivers in my chosen province and they are all connected. I really put much effort in it because it was not easy to make the symbol, because sometimes I get mix up between which symbol represent what information. Coloring the symbol is very important because same symbol but different color represent different information. I can improve this map by making the color more neatly. To achieve this goal, I need to use color pencil rather than crayon because by coloring the map with pencil color, i can color small islands, the symbols and the edge of the map neatly. This sample if work is related to communicator because in this map, I’m trying to show the information to the audience by symbols and color. I am trying to communicate to the audience with simple symbols but understandable.